Dogging operations covers work in conjunction with cranes using slinging techniques, selection and inspection of lifting gear and directing the crane operator in the movement of loads. 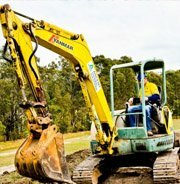 Dogging operations requires a High-Risk Work Licence (HRWL) issued by Work Place Health and Safety QLD (WHSQ). Ascent Training Solutions has developed a high-quality detailed training course that prepares you to perform dogging operations with a high importance on safety.Contact us today to start the process in obtaining your dogman ticket. Our nationally accredited Dogging course is designed to give you the knowledge and skills necessary, in selecting appropriate lifting gear when moving loads in various situations. This course is based on the Safe Work Australia’s National Standard for Licensing Persons conducting high-risk work. There are two main aspects involved in dogging. 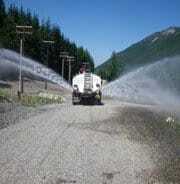 The first involves moving a load using slinging techniques and the second involves the directing of a hoist or crane operator when the load is out of the operator’s full view. The training in its current form meets the criteria stated in the state and territory licensing and unit of competency requirements. Hazard control measures and risk assessment regarding the slinging and directing of loads. 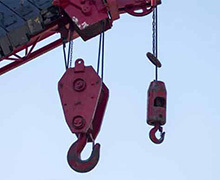 Selecting and inspecting the appropriate lifting gear, and communication and personal. protective equipment according to procedures and site instructions. 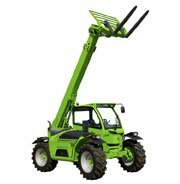 Ensure the correct attachments are used for lifting. Isolation procedures and documentation when reporting faulty equipment. 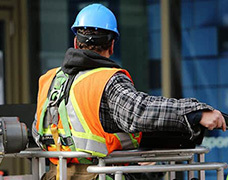 Effective use of communication such as hand signals, whistles, and two-way radios along with good communication skills with supervisors and co-workers. Estimating and measuring loads using mathematical procedures. Relevant OHS legislation, standards, and codes of practice. Effectively communicate with supervisors and co-workers in a safe working environment. 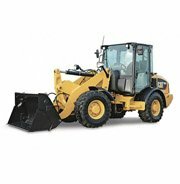 Apply hazard control methods and risk assessment measures according to site procedures. Comply with all OHS legislation and standards applicable to dogging operations. 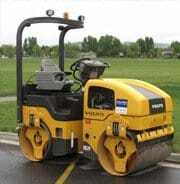 Ability to use various attachments such as ropes, hitches and sheet bends. Understanding the appropriate uses and limitations of lifting gear and slinging techniques. Conduct before and after operational checks, isolate any equipment that has been damaged and reports accordingly. Inspect and maintain all lifting equipment according to manufacturer’s instructions. Basic knowledge of various cranes including the tower, portal boom, slewing mobile and derrick cranes to name a few. On successful completion of this course, you will be issued with a nationally recognized Statement of Attainment for the unit of competency CPCCLDG3001A Licence to perform dogging, which enables you to be eligible to apply for the HRWL license through Workplace Health and Safety Queensland (WHSQ). A dogging license is a basis to a potential career in the Rigging industry. Once you have successfully completed this course, you are eligible to undertake a Basic Rigging Course followed by the Intermediate Rigging and on to an Advanced Rigging course. The DG Class HRWL enables you to gain employment in various industries including construction, mining, offshore drilling and more. This is a 5-day course involving high quality face to face training at our training facility in Pinkenba, QLD. Onsite training and assessing is available at your company location. 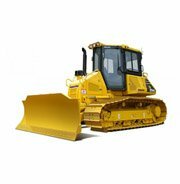 However, in such cases, we would conduct an inspection of the equipment that will be used to ensure the safety and conditions of the equipment is ideal for on-site training and meets the WHSQ requirements for assessment. There are no pre-requisites for this course however, to undertake formal assessment and obtain a HRWL you must be at least 18 years of age and be proficient (read and write) with basic English. We would also require the candidates to wear basic PPE such as hi-vis, safety helmet, boots (preferably steel capped) and wear sun protection during the training. Any medical problems or health conditions are required to disclosed before training commences. A $200 non-refundable booking fee is to be paid prior to the course to secure your spot. Full course fee is to be paid prior to the commencement of formal assessment. All payments can be made using Direct Debit, Visa, or Mastercard. In the case of a failed payment or dishonored transaction, the enrolment of the candidate will be suspended. In such cases, you can seek a transfer to another course. You can find more information about our booking process, enrolment and payment policies in student handbook. Kindly refer to our student handbook for more information on our refund policy. Our focus is not limited to providing you with industry knowledge and developing the required skills. We ensure you have the confidence and capability to apply the knowledge and skills to real life high-risk jobs. You will be issued a Statement of Attainment for CPCCLDG3001A Licence to perform dogging making you eligible for a DG class HRWL license. Industry knowledge and skills to perform dogging operations. Dogging operations cover work in conjunction with cranes using slinging techniques, selection, and inspection of lifting gear and directing the crane operator in the movement of loads. 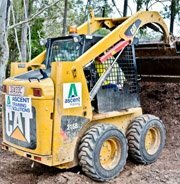 Dogging operations requires a High-Risk Work Licence (HRWL) issued by Work Place Health and Safety QLD (WHSQ). Ascent Training Solutions has developed a high-quality detailed training course that prepares you to perform dogging operations with high importance on safety. 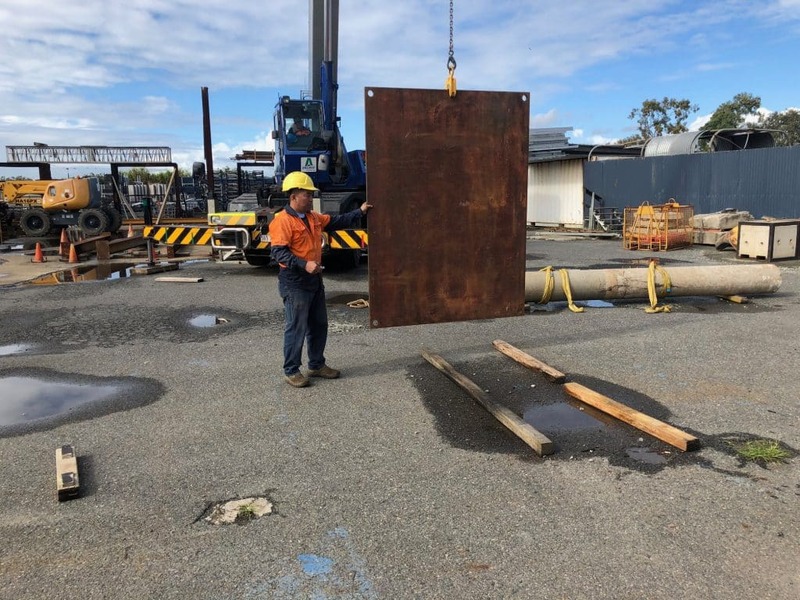 License to perform dogging in Brisbane is a high-risk license course and covers the scope of work required to demonstrate competency in applying slinging techniques, selection and inspection of lifting gear and/or the directing of the crane/operator in the movement of the load. This dogging course is based upon the National Standard for Licensing Persons Performing High-Risk Work. Please click here to download a pdf copy of the complete course outline. On successful completion of this course, you will be awarded a nationally recognized Licence and Statement of Attainment CPCCLDG3001A Licence to perform dogging.